"I have much pleasure in sending my warmest wishes to the people of Gibraltar for the coming year, which marks the tercentenary of Gibraltar's links with the United Kingdom. It has been an important relationship, rich in history and incident. Gibraltar holds a special place in the affections of the British people. I am delighted that the Princess Royal will have the opportunity to meet some of those who live on the Rock when she makes her first official visit to Gibraltar in Spring. 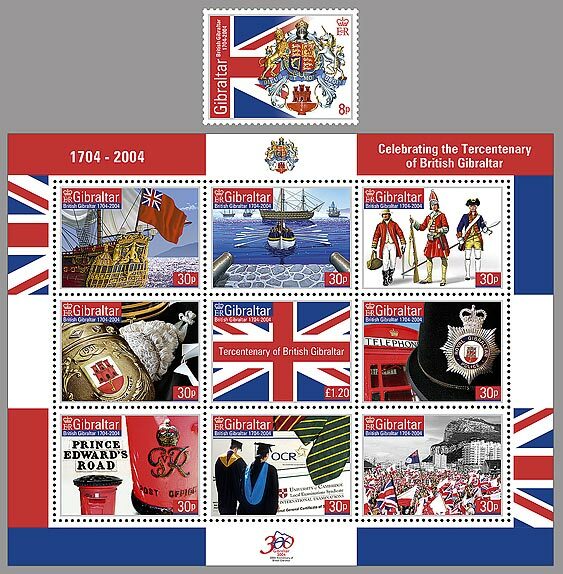 I shall be following with interest the success of the commemorative events to mark the tercentenary, many of which will involve members of Britain's armed forces. I wish you all a very happy and prosperous tercentenary year."